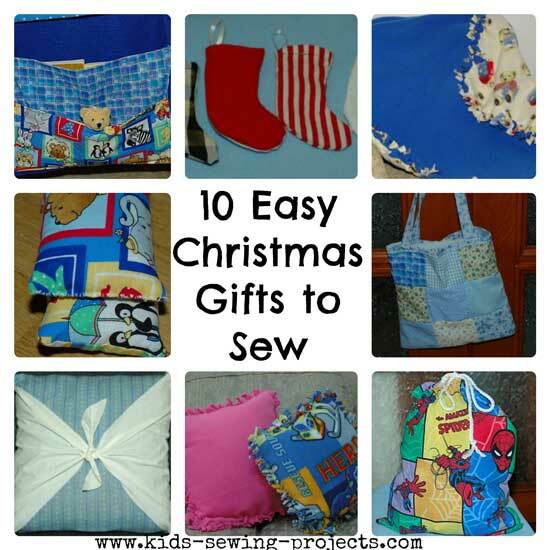 Easy Christmas gifts to sew. These gift ideas work well any time of year. 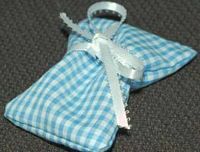 Sewing gifts are a great present to give to teachers, friends or family because it is something you've created yourself. We've jotted down 10, plus more, ideas for creating this holiday season or anytime of year. Each idea has sewing instruction as well as pictures to guide you through the project. How to sew Christmas stockings. Make mini stockings for fun presents or make a larger size for Christmas Eve. Go to the fabric store and pick out some fun holiday material or personalize someone's pillow with their favorite cartoon character, animal or color. 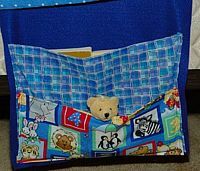 Pillowcases are easy to make and can be quickly custom made for any person. Another great gift you can personalize! Whether it is for a boy or girl you can pick out material to fit each personality. 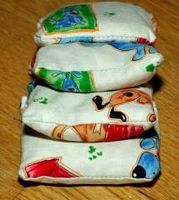 Make three or four of these little pillows and tie them together with a ribbon. 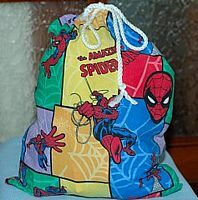 Make two or three of these bean bags out of someone's favorite material and tie them together with a ribbon. These projects require no sewing, just measuring and cutting fleece according to the directions. This is a very easy and fun project. Couch Caddy or Bed Caddy. These can be hung on the couch or between the bed mattress and box spring. For a gift add small toys, a stuffed animal in the pocket or craft supplies for fun. Turn a dishtowel into an easy kid's apron. 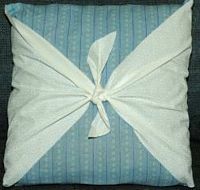 Make a set of pillow covers. 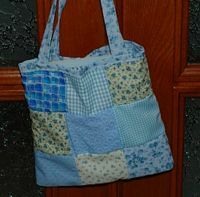 Tote Bags are a great and easy project. Find even more sewing gift ideas in our Sewing Projects Index. Back to home page from easy Christmas gifts to sew.